This article is about the guest star. For the character, see Hugh Hefner (character). Hugh Marston Hefner (April 9, 1926 – September 27, 2017) was an American magazine publisher. He voiced himself in the season 4 episode "Krusty Gets Kancelled". He was also interviewed in The Simpsons: Celebrity Friends, The Simpsons: Mischief & Mayhem, The Simpsons: Access All Areas, and The Simpsons 20th Anniversary Special – In 3-D! On Ice! 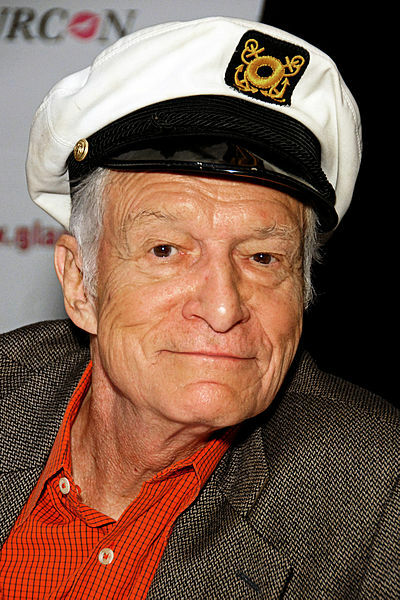 Hefner was voted joint 4th in IGN's "Top 25 Simpsons Guest Stars", along with Bette Midler, Johnny Carson, Luke Perry, and the Red Hot Chili Peppers. Modified on September 28, 2017, at 04:54.